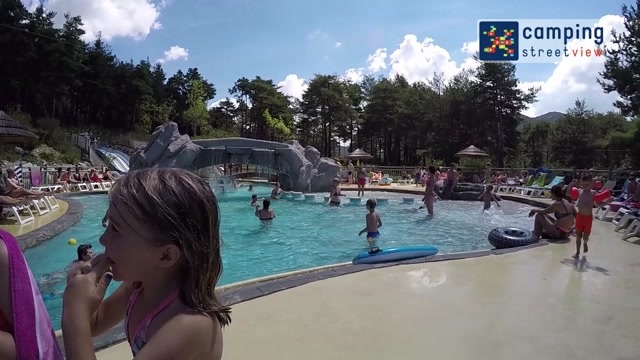 This campsite, in the nature reserve Parc Naturel Régional du Verdon, offers good facilities, generous camping pitches, comfortably furnished caravans and chalets and a special fun swimming pool with a triple slide. This modern decorated mobile home is provided with a spacious kitchen-living room combination with a bar, a stove with 4 rings, refrigerator-freezer combination, microwave oven and a large living room, a bathroom with a separate toilet and 3 bedrooms. The mobile homes have a beautiful covered terrace with terrace furniture. This compact mobile home is provided with a kitchen-living room combination, a microwave oven, a refrigerator and a cosy sitting- / dining area. Further there are two bedrooms, a bathroom with shower and washbasin and a separate toilet. All mobile homes are provided with terrace furniture. 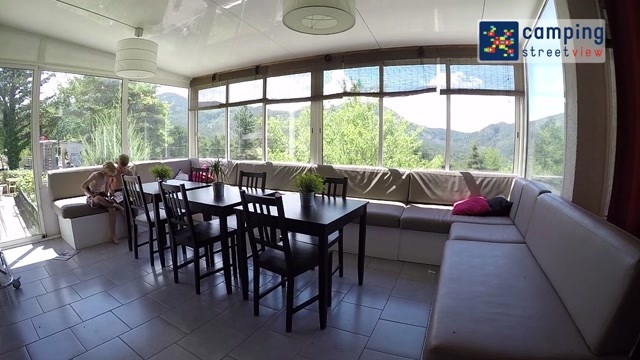 The spacious and luxurious decorated chalets have three bedrooms, a bathroom with shower and washbasin, a toilet and a kitchen-living room combination. All chalets are provided with a veranda and garden furniture. This modern decorated mobile home is provided with a spacious kitchen-living room combination with a bar, a microwave oven, a spacious refrigerator- freezer combination, a cosy sitting area and a sitting area and a dining table with 4 chairs. The mobile home has two bedrooms, a bathroom with shower and washbasin and a separate toilet. All mobile homes are provided with a terrace and terrace furniture. As the name suggests, RCN les Collines de Castellane is situated on hilly ground. The camping site has been terraced to provide all campers with a spacious pitch on the sunny southern slope which has plants and trees that provide some shade. This modern decorated mobile home is provided with a spacious kitchen-living room combination with a bar, a stove with 4 rings, refrigerator-freezer combination, microwave oven and a large living room, a bathroom with a separate toilet and 2 bedrooms. The mobile homes have a beautiful covered terrace with terrace furniture. Experience camping in a whole new way in a safari tent! You stay in a luxury safari tent on a beautiful location. The safari tent, also called summer lodge, is on stilts and has a beautiful terrace. With the modern and luxurious interior you are fully equipped. You have a private bathroom with shower, sink and toilet. A kitchen equipped with a 4-burner cooker, refrigerator and kitchen inventory. Camping in the safari tent is glamour in nature. 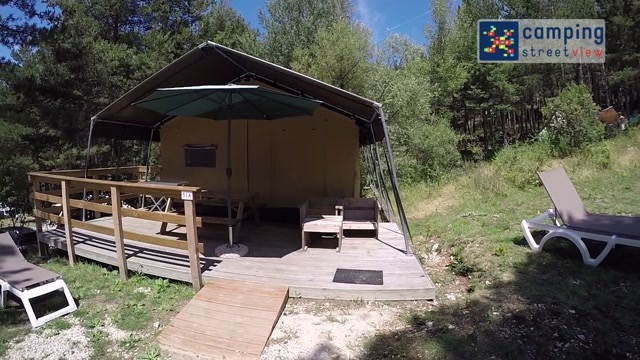 So for 'glamping' you must come to RCN holiday park Les Collines de Castellane.